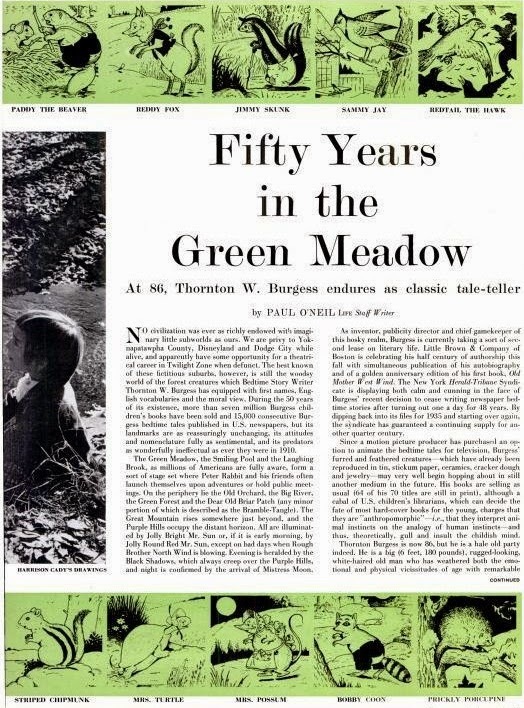 Burgess loved the beauty of nature and its living creatures so much that he wrote about them for 50 years in books and his newspaper column, "Bedtime Stories". He was sometimes known as the Bedtime Story-Man. 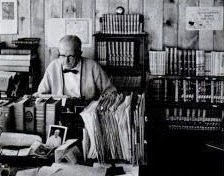 By the time he retired, he had written more than 170 books and 15,000 stories for a daily newspaper column. 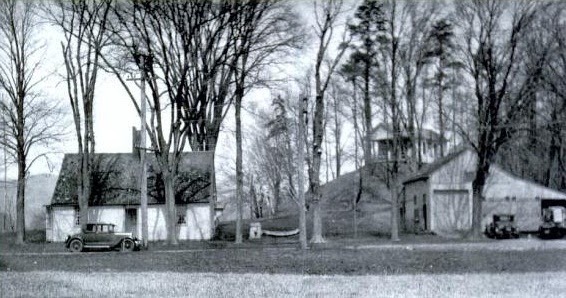 Burgess's Hampden home, photographed in 1928. 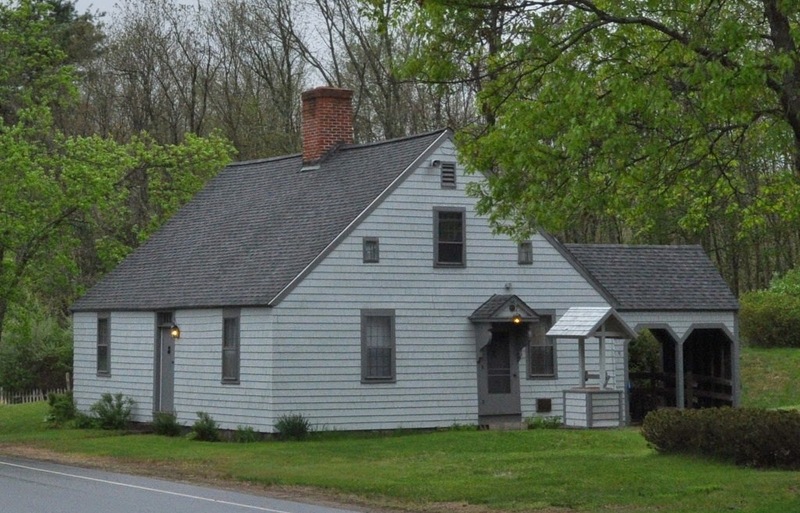 The Thornton W. Burgess House is a historic house at 789 Main Street in Hampden, Massachusetts. The property is now owned by the Massachusetts Audubon Society. It is adjacent to the society's Laughing Brook Wildlife Sanctuary. The house was listed on the National Register of Historic Places in 1983. 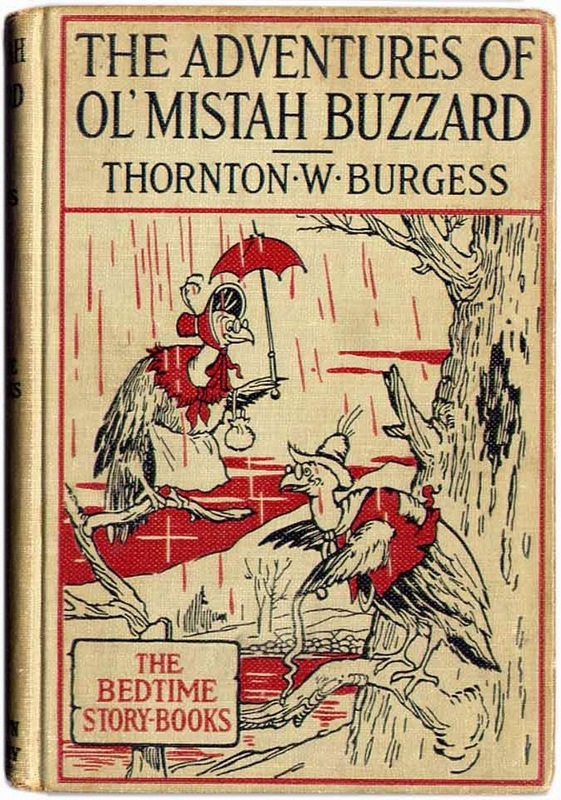 Burgess was born on January 14, 1874, in Sandwich, Massachusetts, and graduated from Sandwich High School in 1891. 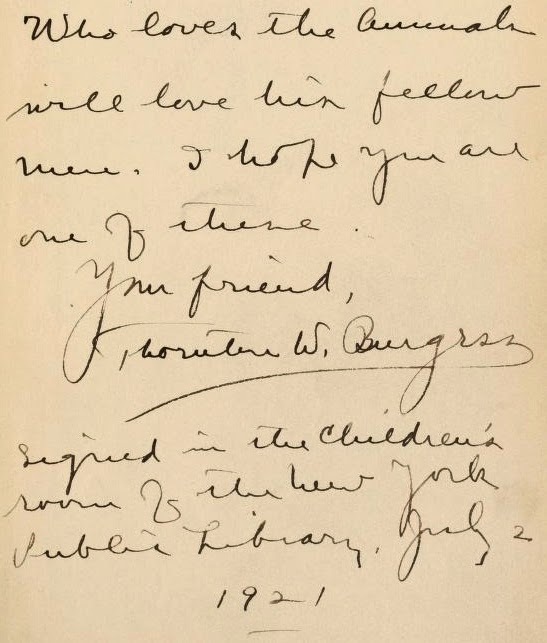 He attended a business college in Boston from 1892-93 but yearned to write. He moved to Springfield, Massachusetts, where he took a job as an editorial assistant at the Phelps Publishing Company. 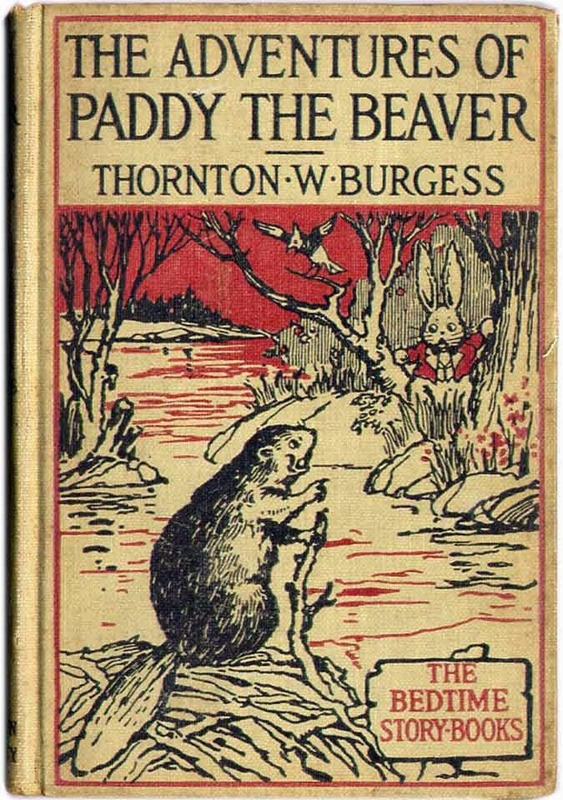 His first stories were written under the pen name W. B. Thornton. 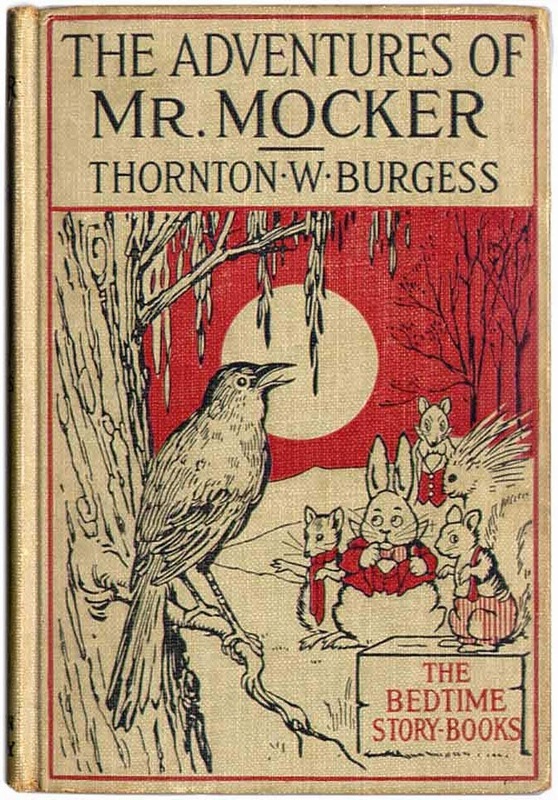 His first book, Old Mother West Wind, published in 1910, introduced many of the characters found in later books and stories. 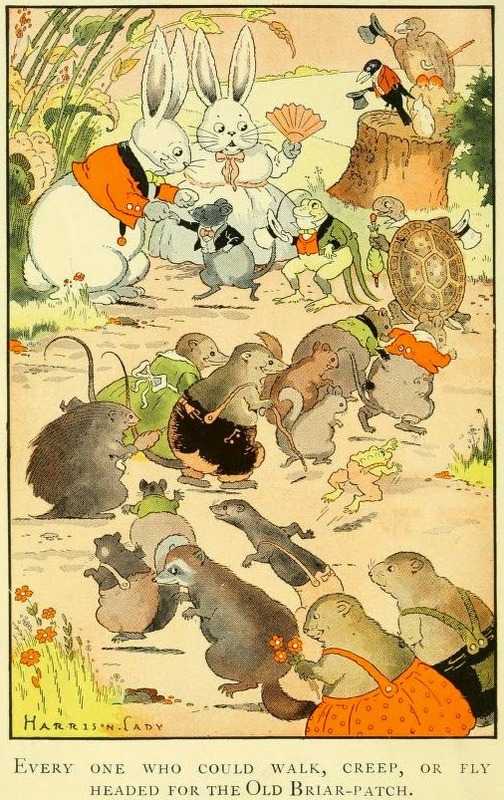 They included Peter Rabbit (briefly known as Peter Cottontail), Jimmy Skunk, Sammy Jay, Bobby Raccoon, Little Joe Otter, Grandfather Frog, Billy Mink, Jerry Muskrat, Spotty the Turtle, Old Mother West Wind and her Merry Little Breezes. Peter Rabbit was created by British author and illustrator Beatrix Potter. 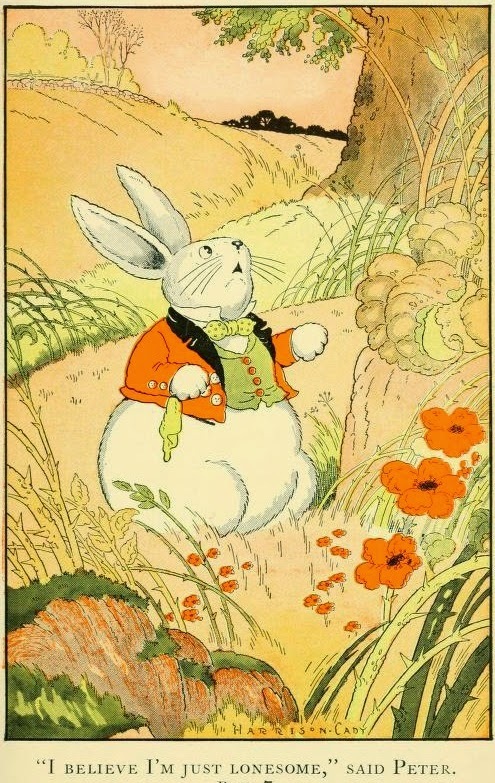 Burgess said, "I like to think that Miss Potter gave Peter a name known the world over, while I with Mr Cady's [Burgess's illustrator and friend Harrison Cady, of New York and Rockport, Massachusetts] help perhaps made him a character." 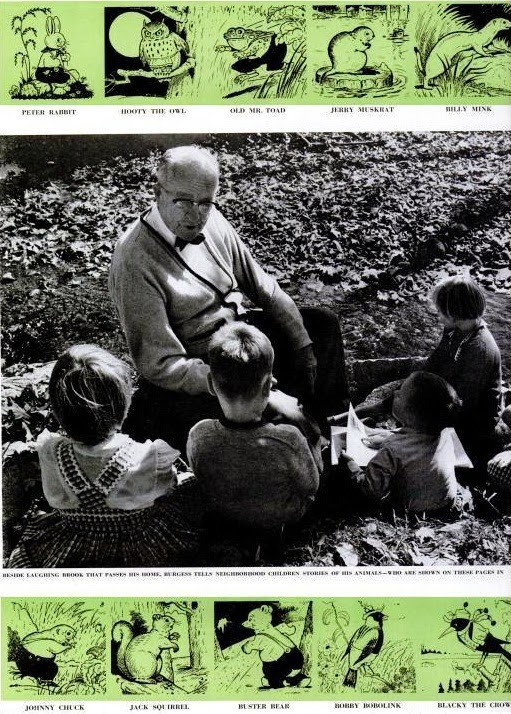 From 1912 to 1960, without interruption, Burgess wrote his syndicated daily newspaper column, "Bedtime Stories", and he also was heard often on radio. 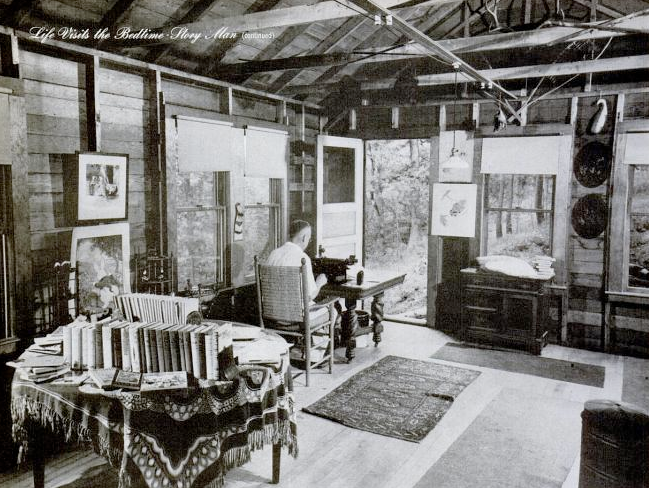 His Radio Nature League radio series began in early January 1925. 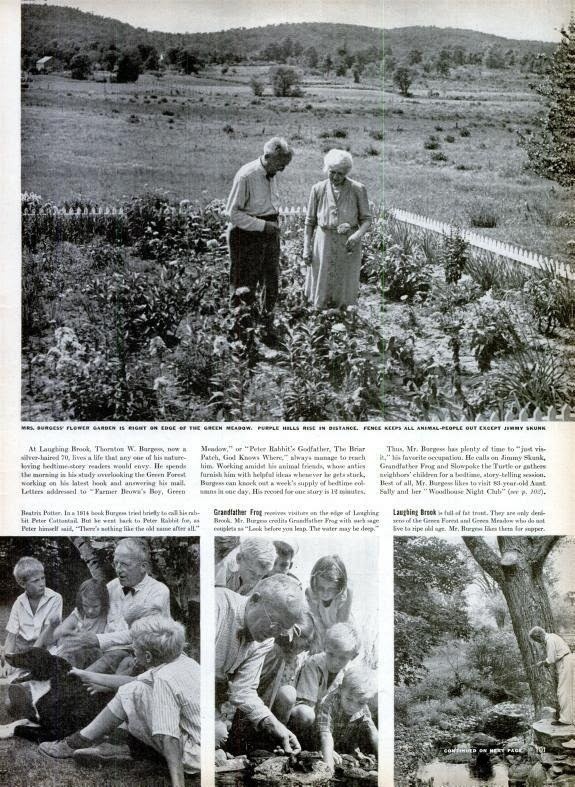 Praised by educators and parents, the program had listeners and members in more than 30 states at its peak. 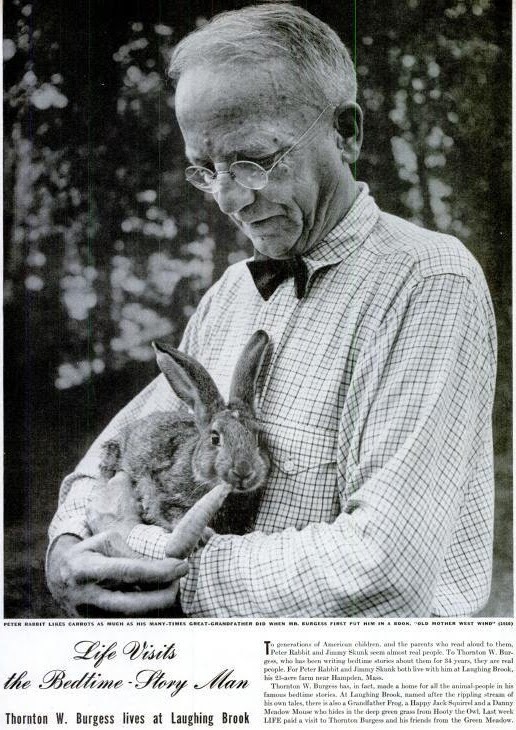 Burgess' Radio Nature League disbanded in August 1930, but he continued to give radio talks on conservation and the humane treatment of animals. 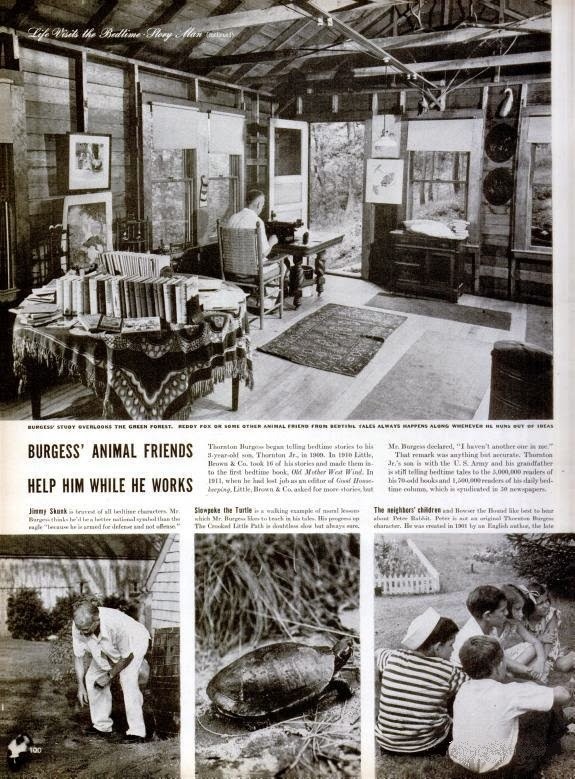 In 1960, Burgess published his last book, Now I Remember, Autobiography of an Amateur Naturalist. He died in Hampden, Massachusetts, on June 5, 1965, aged 91. It never ceases to amaze me how many authors produced such a sheer volume of work, even while holding "day jobs." 15,000 stories? I've barely managed two novels and six shorts myself, all unpublished. Then again, I'm only 25. 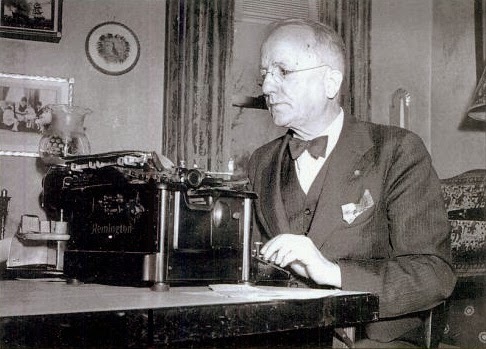 As always, great typewriter photos.